Leg edema is a problem for everyone looking for a way to treat swollen feet on a better water retention diet than the rest. Become an expert on lowering fluid retention. Leg edema problems are something you don't want to have to deal with alongside weight and skin care issues that need to be address. That's exactly why your need a water retention diet to get through the hoops of treating swollen legs and feet without thinking. What is the best way to get rid of swelling in legs? 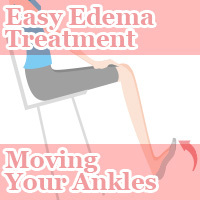 Leg edema appears in places you least expect such as in your lower legs around your calves, ankles, and feet that works to take away the slenderness in your legs making it harder to wear trendy garments such as a skirt with your suit. Treat swollen feet on a water retention diet that works. Whether it is changing the way you season your foods or enjoy more potassium rich foods giving your body the diuretic effect it needs to effectively detox the swelling out of your legs fast. In this roundup walk in Slism, are a collection of leg edema related columns on the water retention diet to help you treat swollen feet easily at home, from developing into cellulite, and in your diet eating healthy and keeping your body from retaining an unnecessary amounts of fluid. With 5 ways to effectively treat swollen feetyou have all you need to get the upper hand on leg edema and water retention with a diet that not only helps you lose weight but look the part reducing unnecessary swelling due to lower leg swelling and pain caused by edema. Treat uncomfortable edema leg swelling all in the comfort of your home by reducing salt intake in your diet on a water retention diet that works accompanied with natural pressure point healing to treat swollen feet using the power flowing out acupuncture meridians. Improve circulation by flushing out your body with lymphatic massage therapy for relaxation that last. Eliminate leg swelling through effective lymph drainage exercises or rest your feet on an extraordinary foot pillow to remedy swollen legs fast. It is said that what causes your legs to swell is also what eventually causes cellulite. Just say no to cellulitiswith a water retention diet to alleviate leg edema treating swollen feet because it's too late and you already have cellulite on your back that seems to never go away. One reason why some people get cellulite is due to the effects of edema fluid retention on you're the layers between your skin and through the body. If you suffer from pitting edema brought up by water retention there is a chance that this condition will cause cellulite. Big or small, everyone has to deal with cellulite if edema leg swelling can't be stopped that is to say that being skinny doesn't protect you from developing unwanted cellulitis through your body. Luckily there is hope. All you have to do is treat fluid retention in your body. Reducing swelling in your legs by applying water retention diet to treat swollen feet leg edema at the source, the foods you eat, make the act of dieting less painful with 6 tips to get away with more in your diet on how to use food seasoning to reduce water retention in feet. 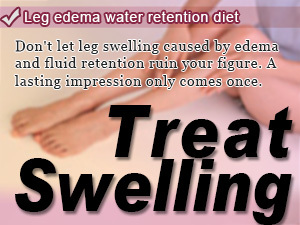 To tell you how to reduce water retention in your legs naturally, no discussion would be complete without diving into diet and nutrition to treat edema. 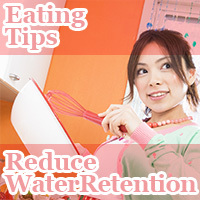 As you may have guessed there are countless methods that you can use to remedy water retention in your diet. When you want to relieve swelling in your feet there are a few things about food seasoning that you need to take home and apply at once. Eat less sugar to reduce salt consumption. Replace salt with herbs and spice. Eat fresh. Measure properly. Go with low sodium. Be conservative. Leg edema reduction starts with a water retention diet to effectively treat swollen feet leaving results that not only last but also make surface in your slim looking beautifully elegant figure that spells womanly figure with awe inspiring feminine lines. There are things you can do to keep your legs from swelling up during the day for easy edema prevention such as taking a warm bath to raise your core temperature, reducing the time you spend wearing high heels, and monitoring your daily intake of water and salt. If fact, you can treat swollen feet just by moving your ankles. Sitting back straight into a chair, move your ankles around for an edema prevention stretch that helps you get slimmer looking legs without exercise that can be down in seconds whenever you get a breather. Natural diureticsto aid your water retention diet putting a stop to painful leg edema to treat swollen feet from the inside starts with high potassium foods to rebalance the salt content in your body causing increased fluid retention making your legs swell up in the first place. Apply the diuretic effect in your diet to get rid of unwanted waist products, toxins, in your body making it less likely for you to develop edema. That means you get a more stable metabolism strengthening your immune system making it easy to gain burn fat. 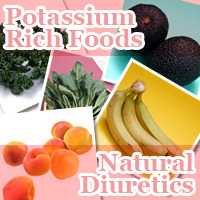 Food that are high in potassium produce a diuretic effect in your body helping you go through fluids faster which is advantageous when you are trying to detox such as Avocadoes, Dried Apricots, and Bananas. Don't let leg swelling caused by edema and fluid retention ruin your figure. A lasting impression only comes once. You would be surprised to find out how much the foods you eat can make a difference in your figure reducing unwanted swelling in your legs. Treating cellulitis starts by reducing the fluid retention in your body through healthy dieting and continued exercise for lasting results.